If you're looking for great Filipino food at affordable prices here in Cebu, you should check out Manila Foodshoppe. I only got to check out their newest branch in Parkmall, and I found my favorite Filipino meals that surely brought a good taste of home. Here's a glimpse of their chopseuy. The familiar mix of vegetables, seafood, and meat brought gastronomic delight to me and my family. I like it because don't scrimp on the most sought-after ingredients like shrimp. 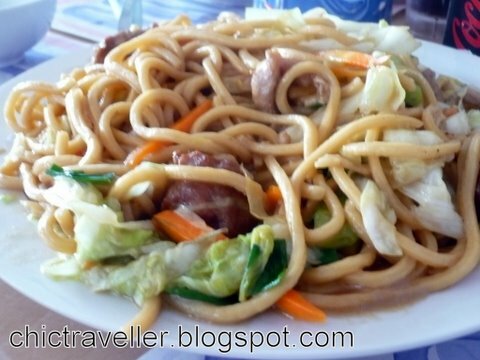 They have a lot of pancit dishes. Here's a pic of their bestseller, pancit guisado. It definitely tastes good as it looks (and I don't have a good camera, so you could definitely trust me it's the real deal). It's a steal at only 94 Pesos! Their dishes are meant to be shared. 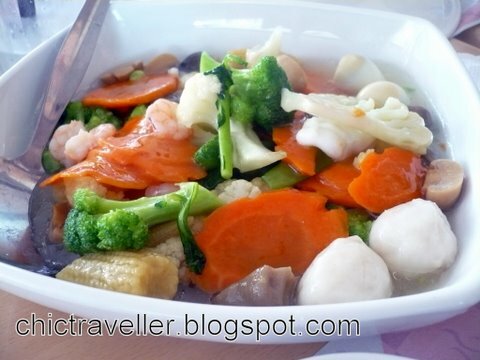 On our first visit there, I ordered 4 main dishes for my family. In addition to chopseuy and pancit guisado, I also added fried chicken and lemon chicken. We only paid Php700+ for our entire meal, and that includes rice and drinks for 5 people! Manila Foodshoppe is definitely a must-visit. For more great restaurants in Cebu, check out this list.